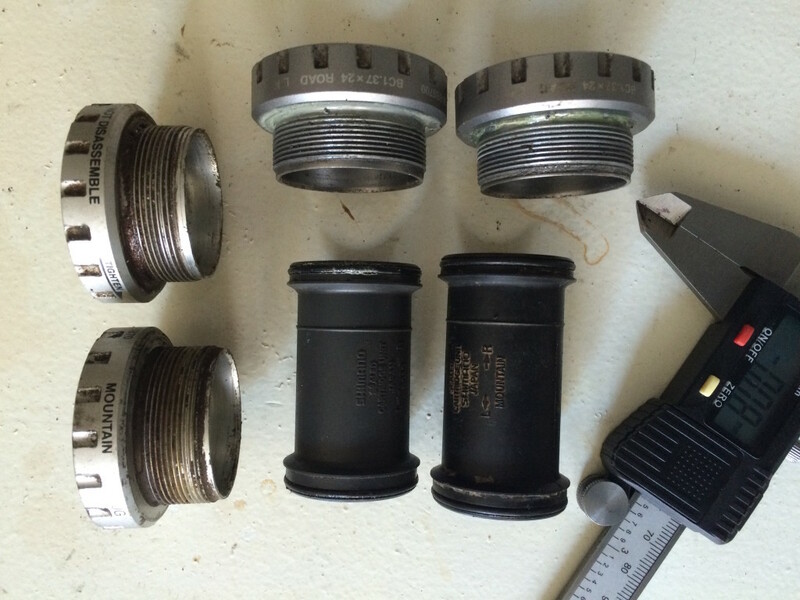 tobias feltus: créateur » Blog Archive » The burning question: Can I use a Shimano road Bottom Bracket on a MTB? 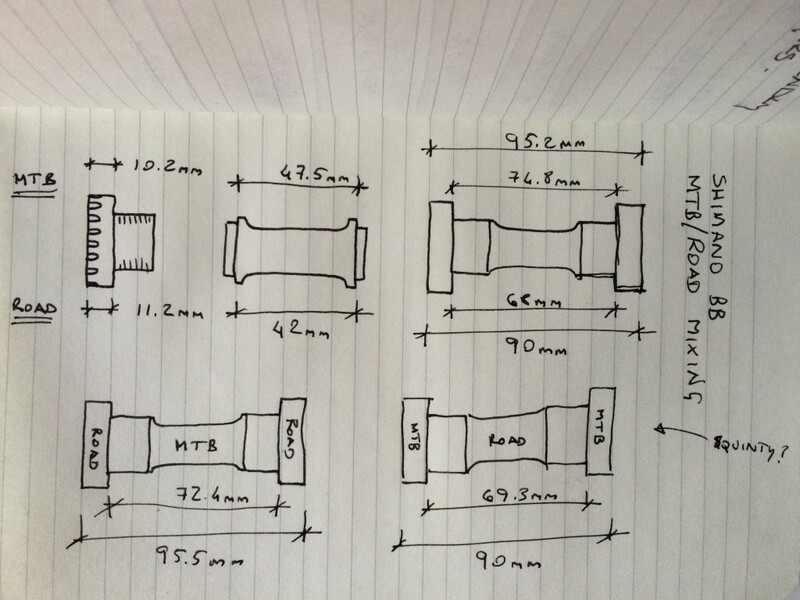 The burning question: Can I use a Shimano road Bottom Bracket on a MTB? Well, it was a burning question because I realised that my mountainbike’s bottom bracket had seized and I didn’t have a spare. Yes, I could have purchased a new one, but I had two perfectly good part-used road ones sitting on a shelf. I had found some speculation on forums, and some disagreement about measurements. So I used my Vernier to measure the parts of an SLX vs a 105 Shimano Hollowtech II bottom bracket. What I knew was that the plastic internal dust-spacer was longer on the MTB one, and what I confirmed was that the Road bottom bracket has slightly wider cups. I have no idea why, to be honest. I would imagine that the bearings are identical, and according to common belief, the MTB units have “better” dust seals. So this is the result of my measurements. My Genesis Altitude 10 has a 70mm BB shell, and BSA threaded road bikes have 68mm BB shells. So I was easily able to fit the Shimano 105 cups with the MTB dust-spacer on my Altitude – with the SLX BB I had one shell spacer driveside, with the road cups I have no shell spacer. Interestingly this also means that if you were to have chainline issues on a road bike, you could use a MTB bottom bracket (cups, with a road dust spacer) and then be able to use 1mm worth of shell spacers to move the chainline by a smidgeon. Secondly, this is interesting because CRC currently sells the XTR BB93 for £25.50 and the Dura Ace 9000 BB for £21 and – assuming they are pretty much identical – this offers some price and fitting leeway for affordable top-end components.